In the past, we’ve talked about how important it is to have a good credit score if you are getting ready to apply for a mortgage or other types of loans. 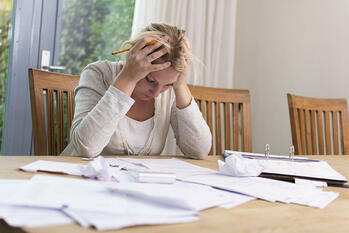 However, not many people think about the impact a bad credit score can have on more commonplace events. Here are just some of the ways that having a poor credit score can affect your day to day life. Landlords and rental agencies will usually take a look at your credit report before accepting your application. If you have a poor score, you may be required to put down a larger deposit or even get a co-signer. 47% of employers will check your credit history before offering you a job. This can be especially true if the position you are applying for carries high security clearance or deals with finance or government work. If your credit report reveals you have a history of not making insurance payments on time, you may end up paying a higher premium than someone with the exact same plan who makes consistent, on time payments. Before being granted a service plan, cell phone companies will run a credit check to see how well you’ve kept up on payments in the past. You may have to make a large down payment or pay extra each month as a result of a low score. When you move, you have to apply for new utility services. Like any other creditors, these companies will run your credit report to check your history of making on time payments. If you have a spotty history, you may end having to put down a deposit, paying more, or having to get a co-signer.